The Canon i-SENSYS LBP3100 is a monochrome laser printer designed for home users. With compact and smart design it will fit comfortably on a home user's desk as it has a retractable paper tray that folds up for easy storage. This is a worthwhile and inexpensive personal laser printer with several clever design features which improve its ease-of-use.The printer has maximum printing resolution 2,400 x 600 dpi and it prints at a speed of 16 pages per minute. It comes with a 150 sheet multi-purpose paper input tray with a manual feed option for non-standard items like index cards and envelopes. It is small and compact in size as it has dimensions 197 x 372 x 250mm and weight 5.9 kgs. The printer is smart, compact and practical. It plugs directly into the mains, with no power adaptor required, and folds up into a neat cuboid when not in use. Even when it is loaded with paper, it takes up very little desk space. The paper handling tray can take up to 150 sheets of plain paper and there is a separate, single-sheet multi-purpose slot for media up to 163 gsm. Heavy graphics documents took a couple of seconds longer to start printing, but once they got going, the pages appears quickly. It has fast startup times as it produces a print in just 16 seconds from the moment it is turned it on. Grayscales are extremely smooth for a mono laser printer and the quality of the black print do not suffers when the speed is high. With Canon i-SENSYS LBP3100 toner cartridges,the print text quality is dense and there are no sign of spots. The Canon i-SENSYS LBP3100 is a low-cost mono laser printer is ideal for home users and small offices where colour printing is not required. It provides faster performance and has lower running costs than the average inkjet printer. If one needs simple and low cost printer than it is a good option for day-to-day correspondence printing.With Canon i-SENSYS LBP3100 toner cartridges, it prints quickly and produces excellent text and is cheap to run and folds away to a compact unit when not in use. Q. I’ve been using Canon i-SENSYS LBP3100 since a long time. Suddenly while printing, the reverse side of paper is smudged. What should I do now? A. Although with the Canon i-SENSYS LBP3100 toner cartridges, the print quality is dense and there are no chances of spots. Even if the paper is smudged or spots appear, make sure that the loaded paper is not smaller than the size of print data. Check properly that the size of paper matches the size of the print data. Q. I’ve ordered Canon i-SENSYS LBP3100 toner cartridges last week from Printerinkcartridges.ie, which was found to be defective. What is your return policy for returning the defective toner cartridges? A. Sorry for supplying defective toner cartridges. We at Printerinkcartridges.ie ensure that the toner cartridges delivered to customers are of high-quality and delivered with full safety. However, if any fault is found, you can return the item back within 7 days. You must return the item by post or courier within the given period of time. Also, we offer a money back guarantee for faulty products. To know more about our terms and conditions, click: https://printerinkcartridges.ie/terms-and-conditions. Q. Are the Canon i-SENSYS LBP3100 toner cartridges compatible with Canon i-SENSYS LBP3100 printer only? A. No, these cartridges are compatible with different printer models as well. These are - Canon i series Bubblejet printers i70 - i9950, Canon Laser Printers, Canon i-SENSYS, Canon i-SENSYS-LBP-3100 and Canon I-SENSYS LBP-3010. Q. Is the printer suitable to use for day-to-day printing job? A. Yes, absolutely. The printer is a good option for day-to-day correspondence printing and for the user who needs simple and low cost printer. Q. What are the weight and dimensions of Canon i-SENSYS LBP3100 printer? A. This printer weighs 5.9 kgs and measures 197 x 372 x 250mm. Q. Where can I find the serial number for my Canon i-SENSYS LBP3100 printer? A. The serial number of you Canon printer will be found on a sticker located inside or the back of the printer. You can also find the number printed on a white sticker on the side of the box package. The serial number consists of 9 characters - 4 letters followed by 5 numbers. Also, please note that overtime it may happen that ink spills onto the sticker inside the machine. But, you can make the number visible again by using a dry cloth to wipe off the ink. Q. I placed an order of Canon i-SENSYS LBP3100 toner cartridges. But I got a different order delivered to my address. I guess the order belongs to someone else. What should I do now? A. Please contact our customer support via email address info@printerinkcartridges.ie. or phone number 0483083322 with your order ID. We will process your request and exchange the product deliver the right order to your address without any obligations. We will ensure that you receive the Canon i-SENSYS LBP3100 toner cartridges at your doorstep with 100% satisfaction. Q. Is Canon i-SENSYS LBP3100 a monochrome multifunction printer? A. Sorry. Canon i-SENSYS LBP3100 is not multifunction printer. It enables only monochrome printing. Q. My printing requirements are very limited. Is this monochrome Canon i-SENSYS LBP3100 printer suitable to my need? 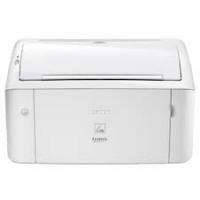 A. Canon i-SENSYS LBP3100 is worth considering if your printing requirements are limited. The printer is a cost-effective machine with long lasting toner cartridges. You can definitely go for it. Q. Hello. What is the page count offered by compatible Canon i-SENSYS LBP3100 toner cartridges with model number Canon 712? A. The compatible Canon 712 toner cartridge offers total ink volume for 1,500 pages to print with 5% page coverage.